AOTW: 'I Escaped From Nigerian Kidnappers' - CounterCultural. CounterCouture. 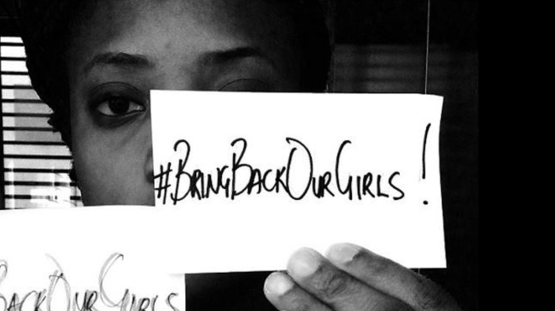 Last week’s article was from Look on the outrage sweeping Nigeria, due to the abduction of schoolgirls by Boko Haram. They have now followed up on the situation with an article that tells the story of one girl who managed to escape as well as the outrage that is now sweeping the world. Hajja’s story is a horrendous one that Look tells factually and almost bluntly, though that may due to it being a quote from Hajja. Her recounting of how Boko Haram, a terrorist group, treated her is enough to make anyone who has grown up as a free person physically feel disgust. To be a “domestic slave” and to be subjected to such horrors that you fake crippling stomach pains is something that none of us can understand. To end, I want to thank Look for once again showing that fashion magazines don’t have to just be about the world of fashion. But more importantly, for raising further awareness of the events that have happened in Nigeria and the campaign, #BringBackOurGirls. If you want to sign the petition to encourage world leaders to help find the missing girls then go to change.org.